The Mudder uniquely designed athletic wedding ring was made specially for the active married man who works out, plays sports, rock climbs, swims, and does everything in-between. 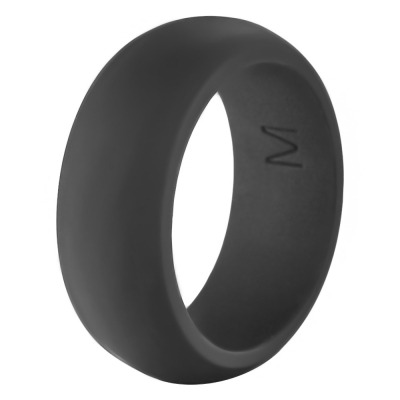 Made of hypoallergenic medical grade silicone, your ring is so comfortable that you can keep it on during gym workouts, weight lifting, basketball, baseball, mountain climbing, diving, water sports, and any activities you take on. Firefighters, law enforcement, engineers, electricians, mechanics, military - prevent finger injuries and degloving with this ring. Always on and showing your commitment, show this to wife and she'll fall madly in love with you all over again. Finding a meaningful present for your husband, fiance, son, or son-in-law. For engagement, wedding, anniversary, or birthday, this ring to keep him safe and active will mean a lot to him.